The Balvenie pulled out a culinary heavy hitter as it brought is Rare Craft Collection, curated by Antony Bourdain, to Houston. In putting together some of their finest selections they energized Silver Street Studios while guests were treated to an intimate tour of superb whiskey. As if the headlining Rare Craft Collection was not enough the curator on the tour is food aficionado Anthony Bourdain who definitely knows how to distinguish the outstanding nodes of flavor of the Balvenie whiskey from all the imitators on the market. 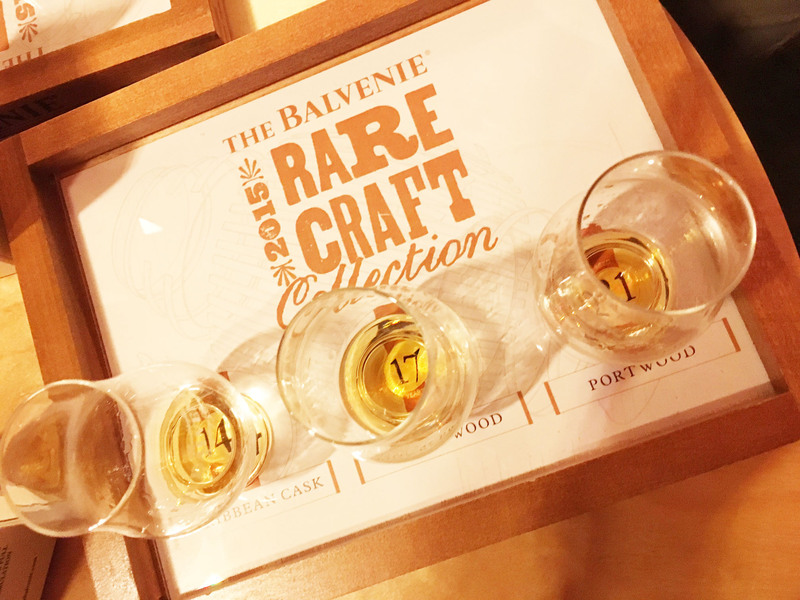 The best thing about the Rare Craft Collection presentation is that the entire experience was carefully fashioned to be as exceptional as the whiskey. From the moment you step into the door you can sense the luxury influence that blends ingredients which are impressive on their own but are ultimately breathtaking when masterfully combined. From the art that embellished the walls to the crowds of beautiful people to your first sip of the 14 year blend. The main attraction of the night was presented to take a tour of all that is wonderful about whiskey. Crafted from The Balvenie whiskey isn’t just a drink it is a nod to the journey from the rolling hills of Scotland to your glass. The presentation began at one of my favorites, the Caribbean Cask. Aged in Rum bottles produces a memorable spin on the whiskey and for rum lovers gives a nod to something near and dear to your heart but in an elegant presentation. Imagine regular rum getting a high end make over. With each sip of the Caribbean Cask and the Dodgewood and Portwood that followed you taste why these selections were singled out by the curator. Making a single malt look easy the taste confirms the true craftsmanship from the inception of the barley, to the meticulously maintained barrels to the skilled malt masters all working seamless to produce a beautiful result. Years ago The Balvenie became one of my favorites in an intimate presentation and being in a room full of fellow whiskey lovers confirmed that from taste to ingredients The Balvenie is exceptional. For a whiskey lover a taste of these selections, especially this holiday season, cannot be missed.